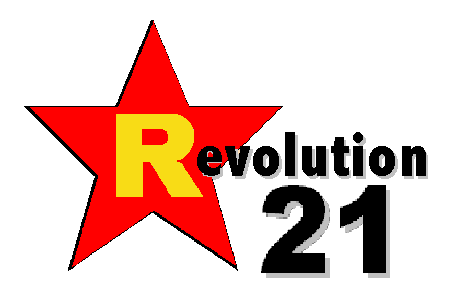 Revolution 21's Blog for the People: Really, Piyush? Really? If ever you make your way down to the Gret Stet uh Loosiana, you got to go see its biggest attraction -- Piyush Jindal, the Self-Hatin' Furriner. That Piyush Jindal is gubna uh da Gret Stet only makes him more of a must-see. Listen, Hoss, the boy hates himself and his un-Americanness so bad that he refuses to call himself by his Christian (Hindu?) name, Piyush. Back in the day, when the future governor was just another brown-skinned, funny-looking lad with a weird name -- and stuck in the middle of Baton Rouge, by God, Louisiana, where the rednecks run headlong into the Cajuns -- he did the only thing a geeky little kid embarrassed by his un-Americanness could do. He named himself after Bobby Brady. As in The Brady Bunch. Actually, it probably wasn't a bad call. For my bottom AMERICAN greenback dollar, Piyush is even weirder than Barack. THAT WORKED OUT pretty well for ol' Piyush Jindal as the years rolled by. He went to an Ivy League college, became a wunderkind, got into state gummint. And then federal gummint. And then into electoral politics. And like I say, it all worked out pretty well. That is, until 2003, when he up and ran for gubna and needed to pick up every Caucasian vote he could muster in the deepest backwater of the Deep South. "If there was a racist backlash against Jindal anywhere, it would be in north Louisiana, in Duke country," Louisiana political analyst John Maginnis told Rod Dreher of National Review Online after the race. To some extent, Blanco laid the groundwork for a such a backlash herself. She dusted off her maiden name and campaigned as Kathleen Babineaux Blanco. Voters encountered the full name on the ballot, where her opponent was listed as "Bobby" Jindal, complete with quotation marks (Jindal's given name is Piyush). Appealing to tribal instincts in the only state where Frenchness is still considered a virtue, Blanco's packaging of herself was designed to make it clear who had the deeper roots in Cajun country. Such tapping of identity politics for ethnic whites is nothing particularly unusual or scandalous. The shamrock incorporated into Irish-American candidates' names is a staple of local politics across much of the Midwest and Northeast. It would be unfair to suggest that Blanco ran a racist campaign. At the same time, isn't it worth noting that the usual suspects, to whom unfairness rarely gives pause, haven't so much as raised an eyebrow? It might be useful to file this case away as a yardstick for the future. There was a small amount of coverage of northern Louisiana's racial politics during the race -- Adam Nossiter's AP dispatch from last Friday, a set of quotes culled to make the town of Amite, Louisiana, sound as awful as possible (sample: "Really, you got a foreigner and a woman. So it's a hard choice to make"), was typical -- but the "Babineaux Blanco" appeal to "Duke country" has gone mostly unnoticed. The next time Al Sharpton or Jesse Jackson or Kweisi Mfume or any similar rabble-rouser announces a whiff of racism (or "racial insensitivity"), measure the grievance cited against this non-event. The comparison might be illuminating. I RECKON about now you may be thinking "Well, that's interesting enough, but so what?" House Bill 561 was filed last week by two Republican lawmakers. 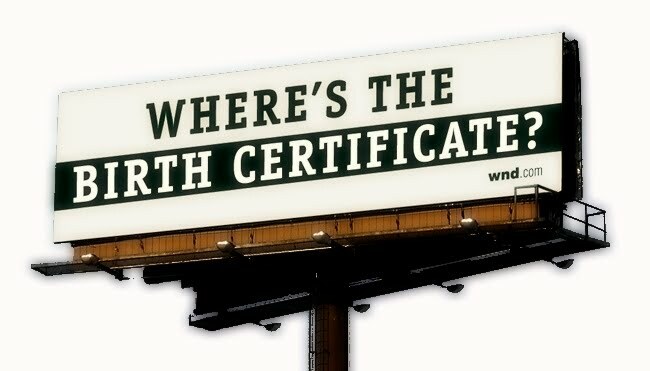 President Barack Obama's citizenship has been challenged by some groups, derisively called "birthers," despite numerous independent investigations finding that documents and contemporary news reports show that Obama was born in Hawaii. The requirement also would apply to candidates for U.S. Senate or the House of Representatives. A similar bill was recently passed by the Arizona legislature. THUS you have the only-in-Louisiana spectacle of Piyush "Bobby" Jindal, the self-hatin' foreign-ish fellow who fought against prejudice and overcame his Otherness to, in 2007, be elected the Gret Stet's first non-white governor since Reconstruction . . . only to throw his support to a "birther" bill that's aimed squarely at people just like him. Now let me say that I believe Piyush Jindal was born in this country. I have no doubt about that -- despite all the talk about monkey gods and burnin' girl babies because they ain't as good as boy babies. I believe the man is just as American as the next funny lookin' dude with an oddball name who gets elected to high office. Which means that I believe -- believe with all my heart -- that Piyush "Bobby" Jindal is an all-American tool. A self-hating tool . . . but an all-American self-hating tool nonetheless. And, no, you can't make this s*** up. When you are trashing Louisiana, please remember that New Orleans and Cajun Country in this state entirely by accident. Everything else is just more of Texas.